They say that age is just a number, but is that still the case when a 40 year old starts dating a teenager? What about when he marries her? Celebrities have the potential to make a lot of questionable life decisions, from embarrassing tattoos to public meltdowns. Embarking on underage relationships is one of those questionable decisions. Love may be blind but the media certainly is not, and when it comes to scandals, these possibly illegal situations are the juiciest out there. Here are 15 celebrity relationships that border underage status and have raised many eyebrows over the years. In 2013, the actor reportedly began dating Teilz, a then 19 year old DJ, raising countless eyebrows on the age difference. Phoenix was 38 at the time. This pop star couple first met when Simpson was 17 years old and Lachey wa 24. They went on to marry and eventually divorce. Allen made headlines when he came forward with his love for ex wife Mia Farrow’s adopted daughter, Previn. At the time, Allen was 56 and Previn was 21. Pop stars Gomez and Bieber have been through their share of ups and downs, but the pair first got together when Bieber was 16 and Gomez 18. The couple began dating when Gaston was 20 and Cyrus 15, after being introduced by the pop star’s father Billy Ray Cyrus. This couple began dating when Lohan was still under 18 and Valderrama was 24. The couple moved in together right after Lohan’s 18th birthday. Another one of Valderrama’s underage conquests included Mandy Moore, who dated Valderrama at the age of 16 when he was 20. The Lakers star first started dating Vanessa when he was 21 and she was just a 17 year old dancer on his unreleased rap album. 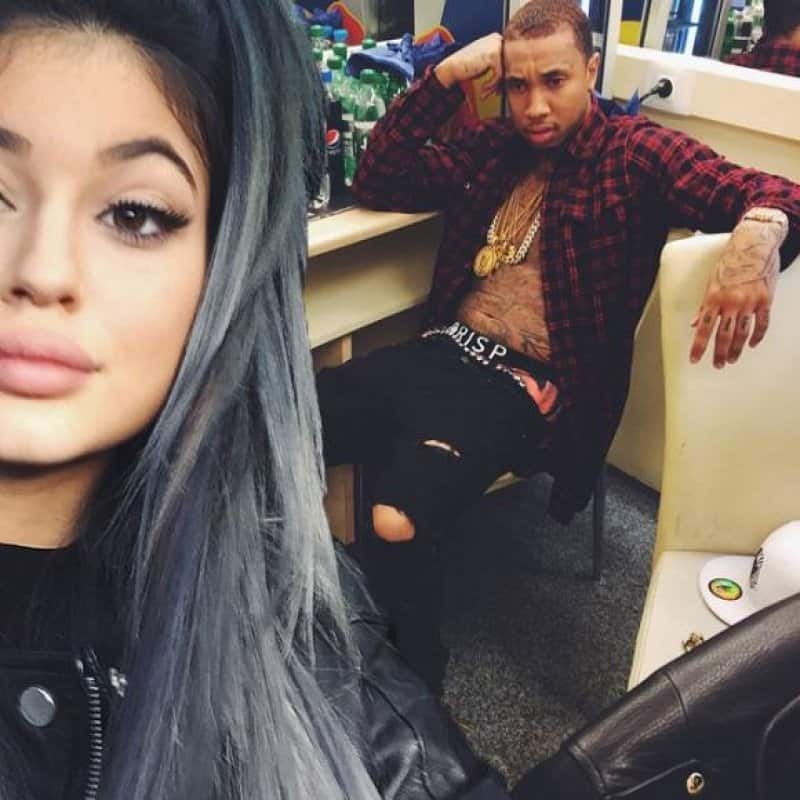 While the two spent a while deflecting rumors, the 17 year-old Jenner and the 24 year-old rapper are certainly an item. Seinfeld was 38 years old when he started dating 17 year old high school senior Lonstein. They broke up when she moved away for college. Panettiere was only 17 when she started dating her Heroes costar, who was 29 years old at the time. Dalton was just a 17 year old high school when she started dating 24 year old Murray and they married just two months later. Hutchinson was shunned by the media when they found out the 51 year old actor had married Stodden, a 16 year old aspiring singer and dancer.